Planning for the future is just as important as looking after one's health. Hence, it would be prudent of one to speak to their financial advisors this Diwali and have a tailor-made investment strategy to retire rich. Have you heard of Dhanvantari in Hindu mythology? Dhanvantari is not only the God of Ayurveda, which is the Indian branch of traditional medicine but is also the physician of the gods. In Hinduism, there is an immense emphasis on health as one of the principal sources of wealth. It is believed that a healthy mind can only dwell in a healthy body and a healthy mind is essential for financial success. As part of the Diwali celebrations, we also celebrate ‘Dhante Ras’, which was also popularly called the ‘Dhanvantari Triyodashi’. It is a celebration of Dhanvantari and is our ode to good health. A Dhanvantri or a family doctor is almost like a family member for most families in India. The idea of a family doctor is to have one medical expert who not only understands your medical history but also your family history to be able to pinpoint genetic afflictions you are prone too. Tune in to the modern times and most of us take good medical healthcare as an assumption. Actually, it is now time for a financial Dhanvantri. If you think that your friendly tax filer or chartered accountant can do the job, you are mistaken. 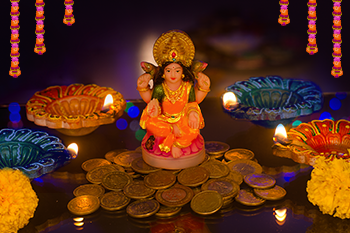 What you need is a Financial Dhanvantari who can handhold you towards your financial goals. Here is why we need to talk to our financial Dhanvantari and also what we need to ask. How do I define my financial goals? This is the very first step, for which you need to sit down with your financial Dhanvantari and articulate your goals. Financial goals are those long-term goals which can be converted into a financial number. When you talk about a peaceful retirement, you must be able to put down the corpus you will require. Similarly, you will need to put down the corpus for your child’s education, either in India or abroad. That is where you need to have a serious fireside chat with your financial advisor. Talk to the advisor about how to project your expenses; how to factor inflation and how to factor shifts in the standard of living. Above all, talk to the advisor about the risks to the plan and how to create an emergency fund for such hiccups. This is another important question you need to pose to your financial Dhanvantari. The risk you take depends on your risk appetite and also on the timeline of your goals. For example, you can take more risk when you are 25 than when you are 40. You also can take more risk when your goal is 20 years away than when your goal is 3 years away. next step of making an investment plan. When do I start investing and where do I invest? This is the next thing you need to ask your financial Dhanvantari. When to start investing has a simpler answer; start as early as you can. The more time you have at your disposal, the longer you have to invest and the better you can ride out the ups and downs of the market. Longer investments also ensure that your money compounds and works harder for you. Your financial advisor will be in the best position to advise you on how much to allocate to equity, how much to debt and how much to liquid assets. Talk to your financial advisor on whether you need to keep any exposure to gold and commodities or whether it is worth taking on the higher risk of sector funds, thematic funds, and structured products. Pose pointed questions to the point that your financial plan is as close to actionable as possible. How do I keep a tab on my financial plan? Quite often, we tend to think that once your plan is created and your investments are made, then your financial future is on auto mode. That is rarely the case for a variety of reasons. Firstly, inflation may go up sharply forcing you to downsize your goals or invest more. Secondly, the returns on equity or debt as an asset class may come down sharply and that is a secular risk that you run. Thirdly, major changes like medical emergencies, loss of job, or your decision to start a business may deeply impact your finances and your capacity to plan. In each of the above cases, what you need is a Plan-B, which has to be implemented after a thorough review. That is something you must deeply discuss with your financial Dhanvantari for sure!